Custom designed for clients in Connecticut, the exterior of this home looks like a classic New England barn with details such as a sliding garage door and cupola with weather-vane. The cupola is centered over the main staircase to provide extra illumination. White walls and natural beams give the interior a light, open feel. The master bedroom has its own loft to use as an office, TV room or reading nook and a large Roman soaking tub is the focal point of the master bath. 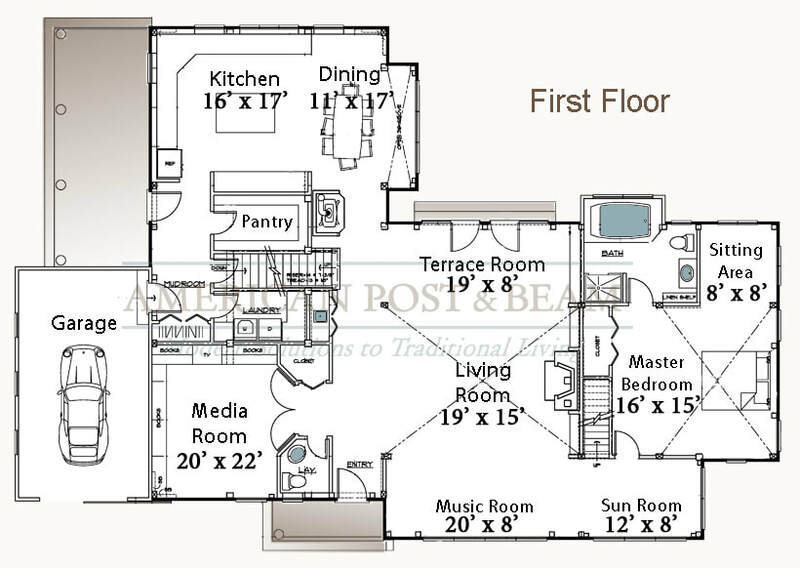 This floor plan is completely customizable – clients can start from scratch with our design department, or modify an existing plan such as this.